The wrist has officially been slapped. 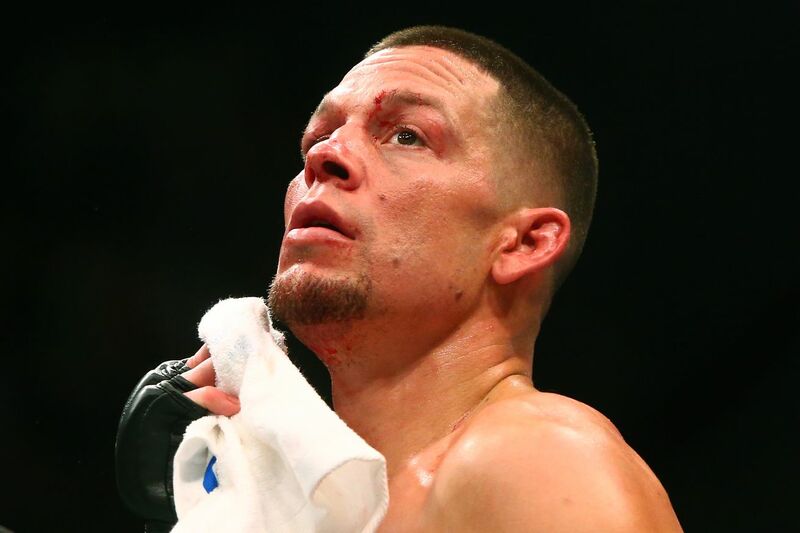 Busted up Ultimate Fighting Championship (UFC) veteran Nate Diaz was playing doctor in the wake of his five-round war with Conor McGregor at the UFC 202 pay-per-view (PPV) event, which took place last August inside T-Mobile Arena in Las Vegas, Nevada. Doctor’s orders? A few puffs of the vape pen during the UFC 202 post-fight press conference (watch it), which just so happened to contain cannibidiol oil, also known as CBD. United States Anti-Doping Agency (USADA), charged with going overboard keeping the drug-testing peace in UFC immediately launched an investigation, as CBD belongs to the cannabis family, banned in-competition by World Anti-Doping Agency (WADA). Diaz (19-11) has not failed a pre- or post-fight drug test during his 12-year career in mixed martial arts (MMA) and UFC 202 was no exception, which is probably why USADA felt a verbal warning was appropriate.